The KOB-FLEX Ltd has been operating in its current form in the field of industrial automation since 2005. Our colleagues have more than 20 year of experience in process automation. Our goal is the continuous innovation in all systems we develop. Therefore, our company aims to employ young and creative enginners in addition to the experienced seniors. We have well-established partnerships with the major technology developers and manufacturers (e.g. Siemens, Omron, GEA, Alfa Laval, Tetra Pak). Our PLC controlled systems are in compliance with all standards and regulations. 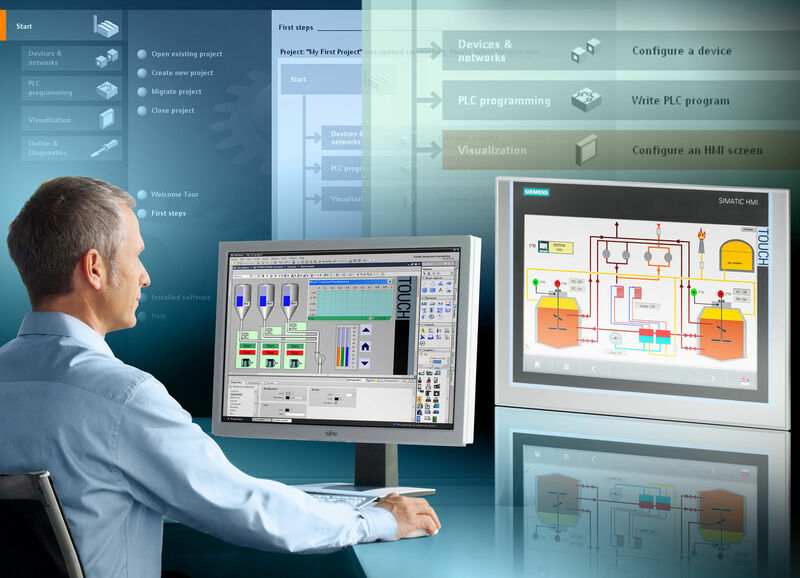 PLCs are able to satisfy all system and technology needs in a cost-efficient way. It can comply with basic and the most complicated needs thanks to its consistent functionalities and standardized platform and interface. The PLCs we develop can be fully scaled and tailored according to different tasks and industrial environments. It also gives the opportunity to develop manual, semi- automated and fully automated systems. The HMIs (Human Machine Interface) provide the usability. Either industrial PC, traditional panel with keyboard or touch screen can be built in and integrated in order to establish a desired and perfect human-machine connection in any environments. By using the HMI, the users are able not only to observe but also to control processes and instruments. Furthermore, it gives the chance to set and modify parameters (both system- or control parameters). The KOB-FLEX Ltd. provides a full range of services in the field of industrial automation. KOB-Flex Kft. provides the full range of industrial automation services. By using the HMI, the users are able not only to observe but also to control processes and instruments. Furthermore, it gives the chance to set and modify parameters (both system- or control parameters). Our process control systems are developed by using the latest PLCs. We are keen on satisfying all the special needs of our clients. According to the needs we provide a plenty of options to visualize processes from the basic graphic and static representations to the most complex measurement data collection systems with Full HD SCADA database and visualization. 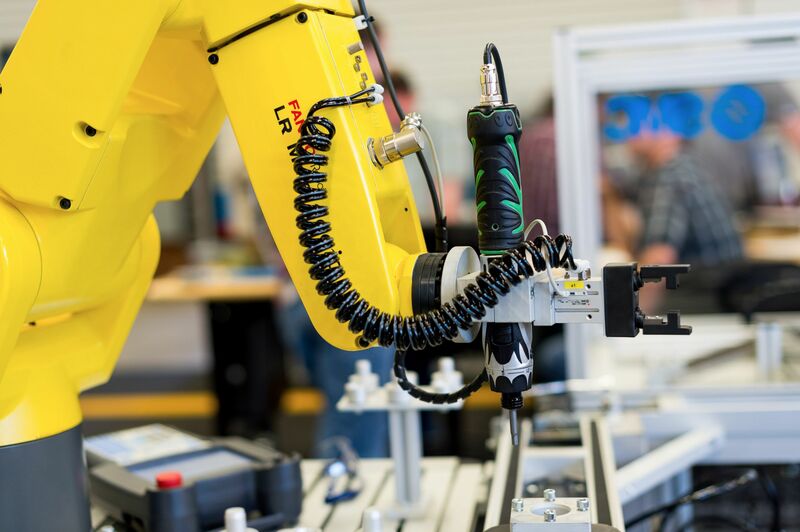 It is essential to establish the perfect human-machine connections, therefore our HMI systems give the opportunity to intervene directly and online to processes, either to modify parameters or give commands. Our HMI sytems includes graphical Operator Panels. If it is needed by the client, our systems are able to collect and store all the information about the operations of either plants or only processes. Not only the different registers and measured values can be stored, but also the variables of processes and alarms can be included in trends and the database. Our systems do not require on-site presence in many cases, therefore they can reach a higher level of cost reduction. These industries represent the majority in our portfolio. We develop automated systems with special care of hygenic and liquid products’ processes. Our company provides a full range of services within automation of plants and factories from the handling of raw materials through processing and sterilization to the production of final products. The KOB-FLEX Ltd. also develops automated systems in clean rooms and in explosion-safe environments. Our activities include automation of processes and synchronization of target machineries. Our company provides automation services for sewage handling plants as well. Our developments can be found in several plants across Hungary. For instance, the coordination and control of decanters and filter-systems have been solved by our systems. In addition to our main target industries, we are present in many other fields where special and tailored sollutions are required regarding automation. The KOB-FLEX Ltd. operates in several different industries both in Hungary and world-wide.